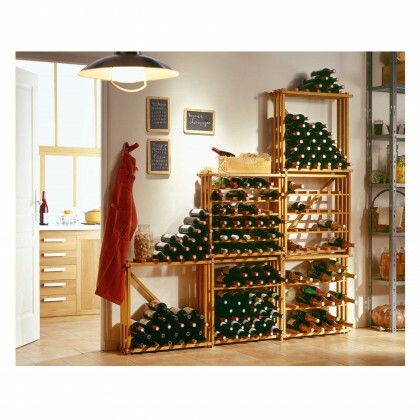 Starting with one module of this practical system, you can create the storage space you need. 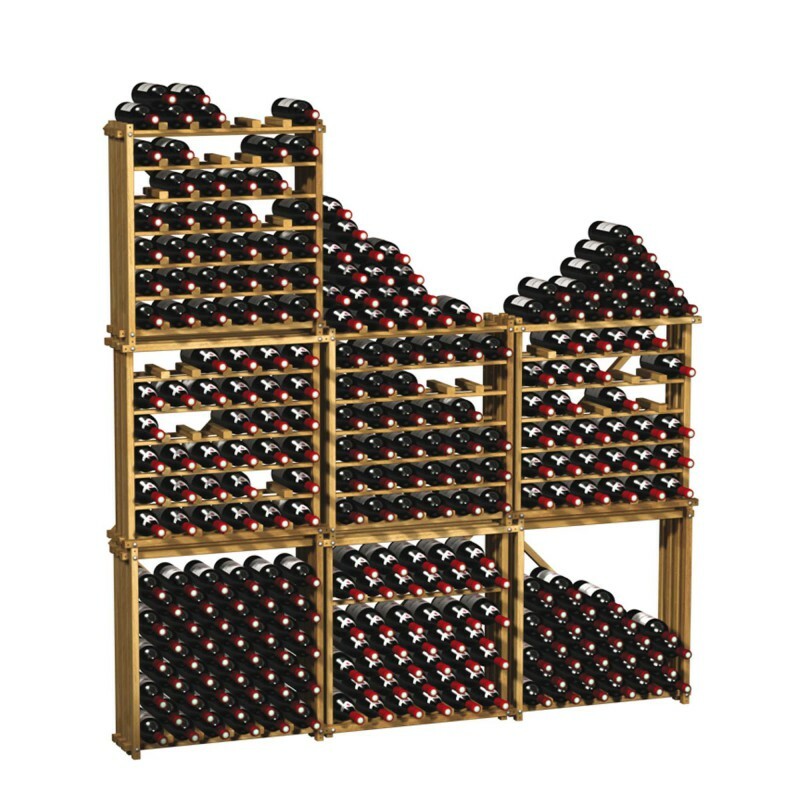 Completely modular, Modulocube allows you to increase your storage capacity by assembling several modules and changing the layouts according to your requirements, whilst guaranteeing maximum stability. 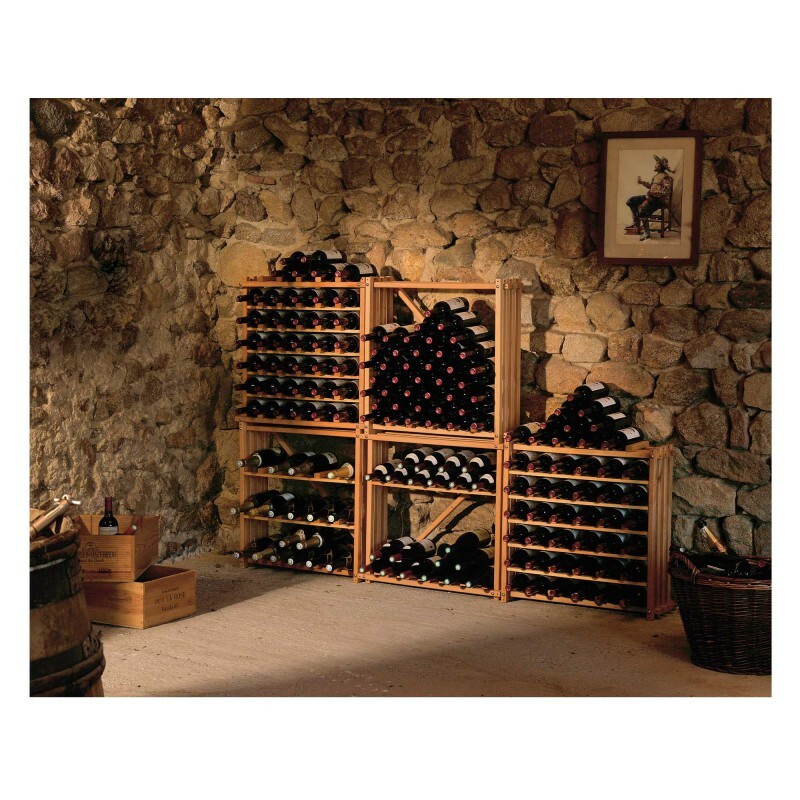 Designed in solid beech to offer maximum strength, Modulocube allows you to make the best use of your wine storage space. 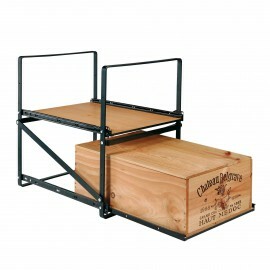 *Pack of 6 shelves available as an optional extra, sold separately. 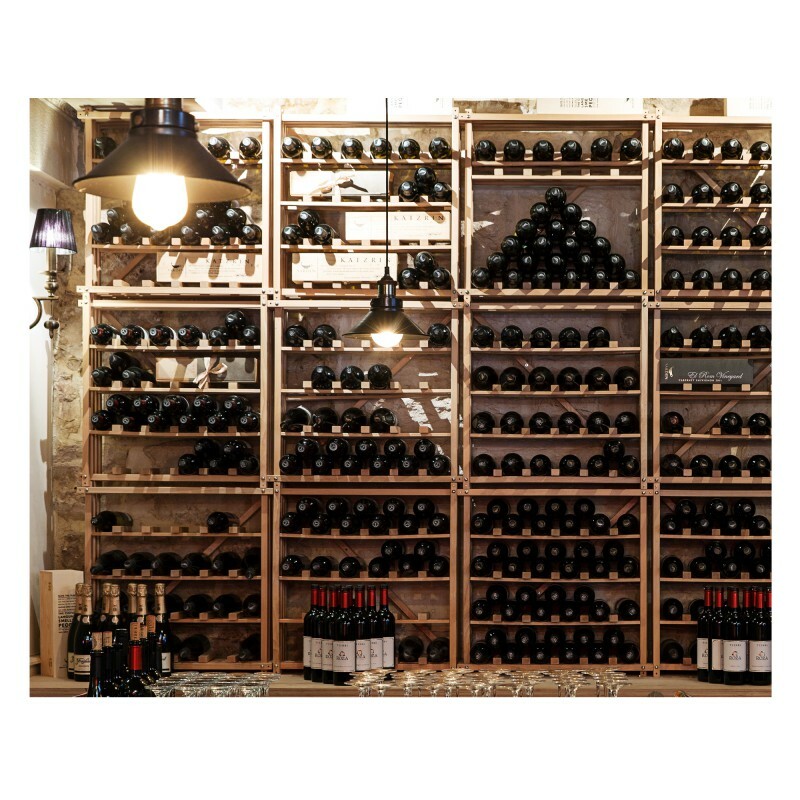 Each module of Modulocube allows you to store, in a single depth, all types of bottles: Bordeaux, Burgundy, Champagne… (up to 50 Bordeaux bottles). 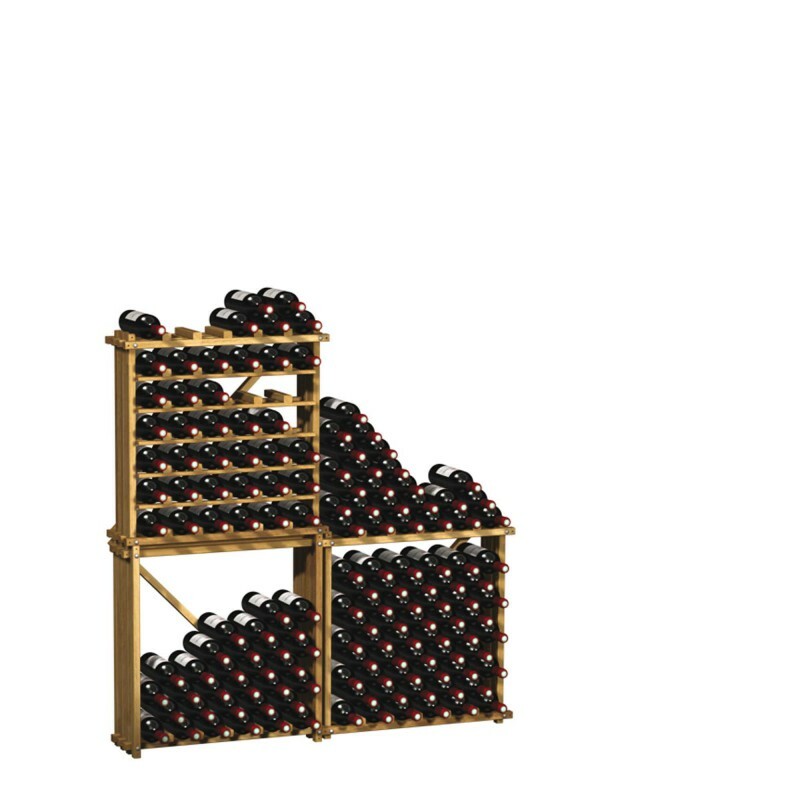 You have the possibility of assembling up to three heights of modules and changing your storage method according to your requirements. 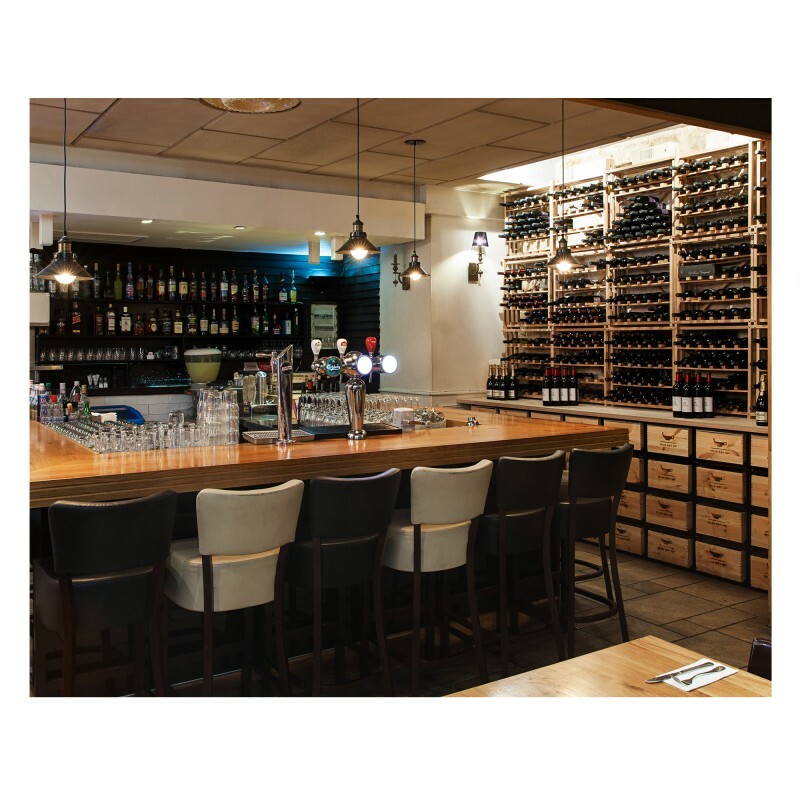 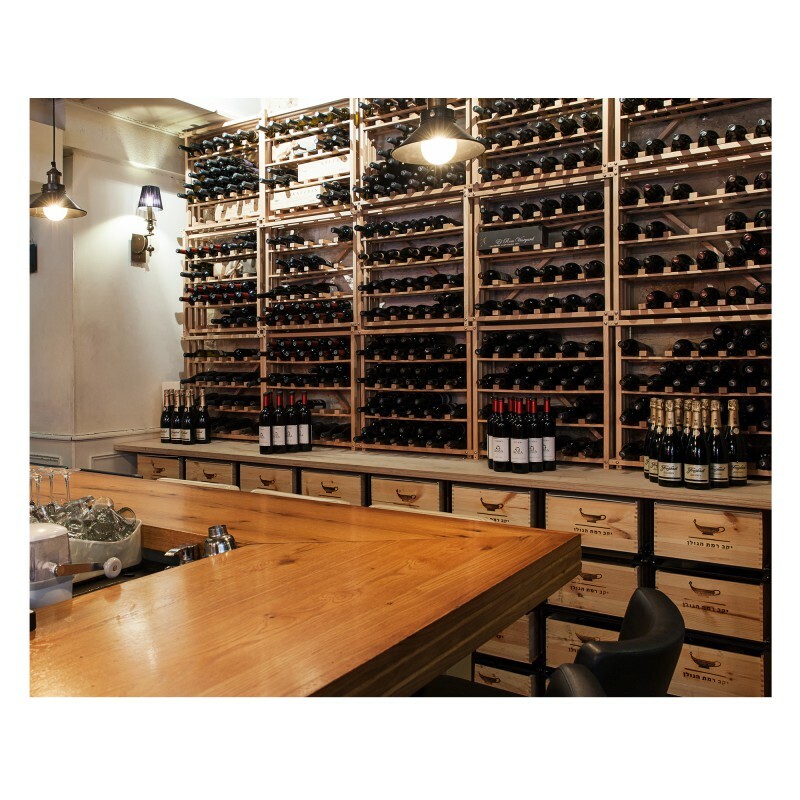 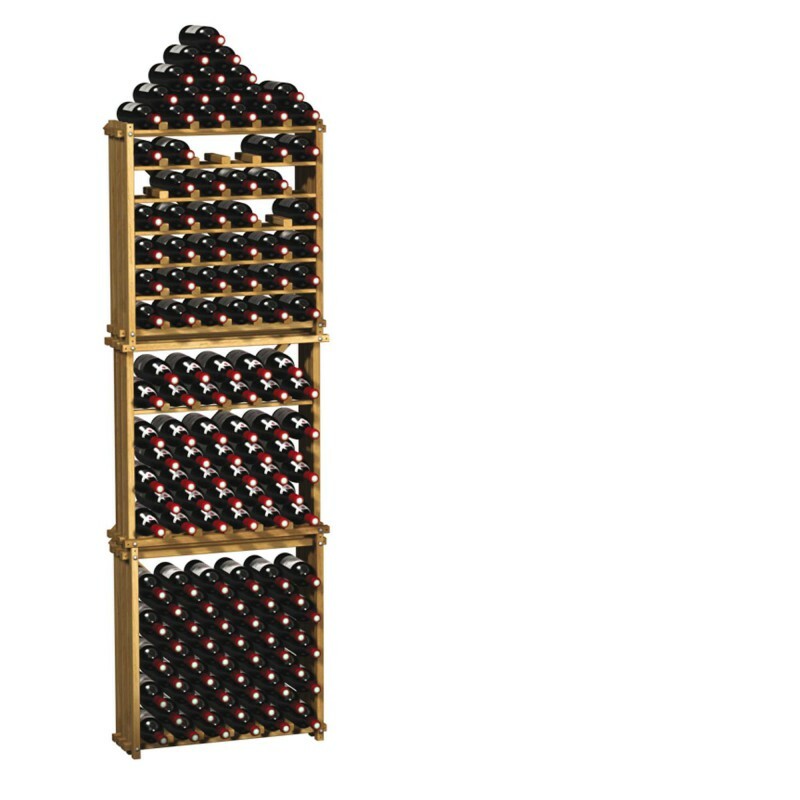 In fact, you have two choices: you can store your bottles all together or individually by adding 5 – 6 rows of shelves (available as an optional extra). 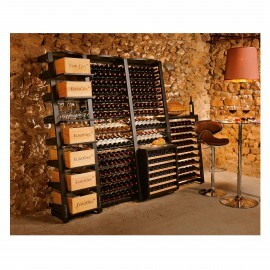 Modulocube ensures ideal wine storage at a very attractive price. 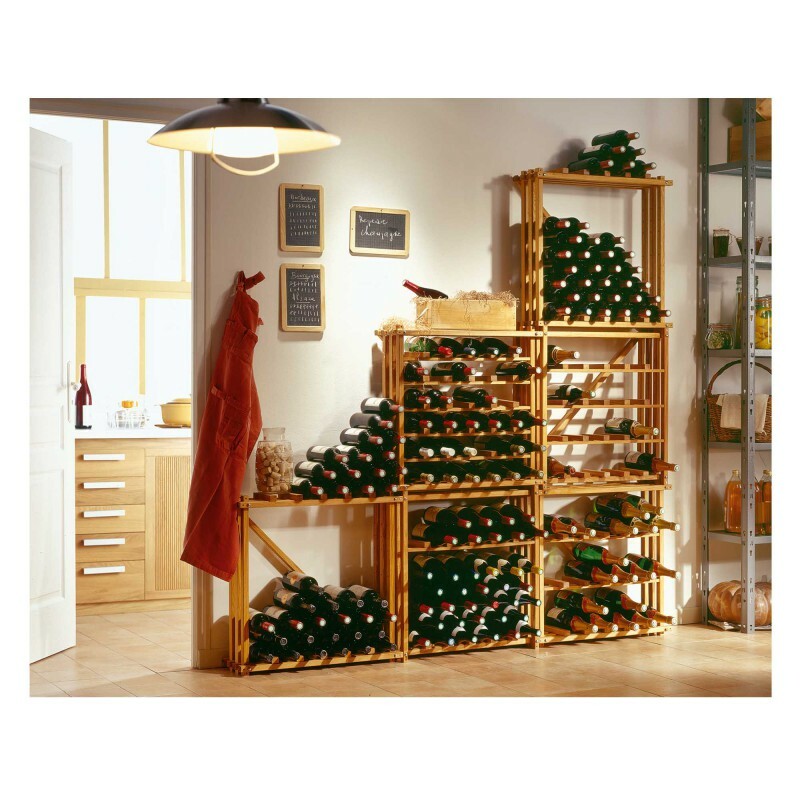 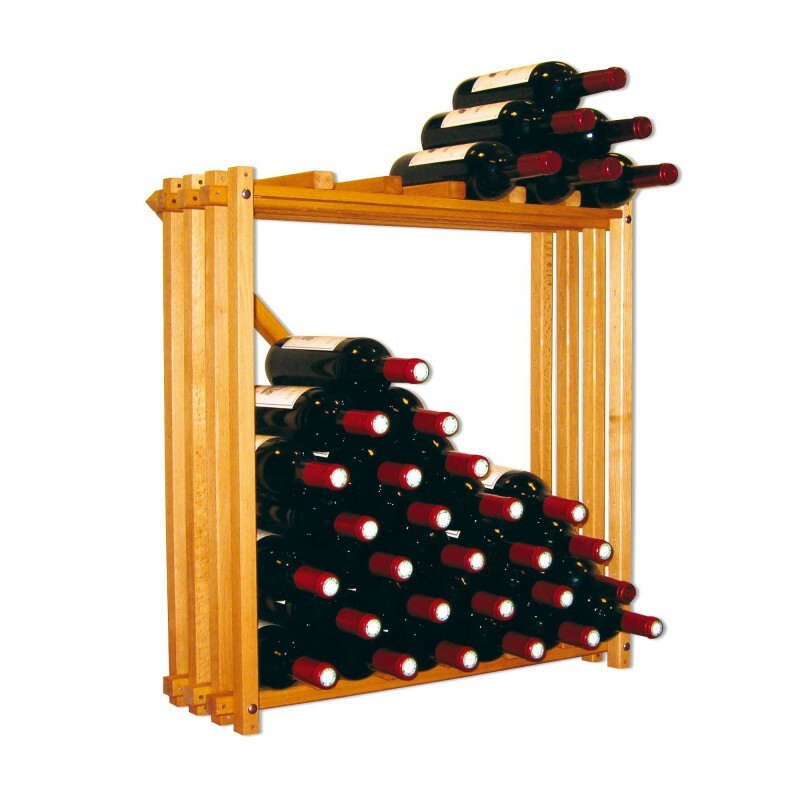 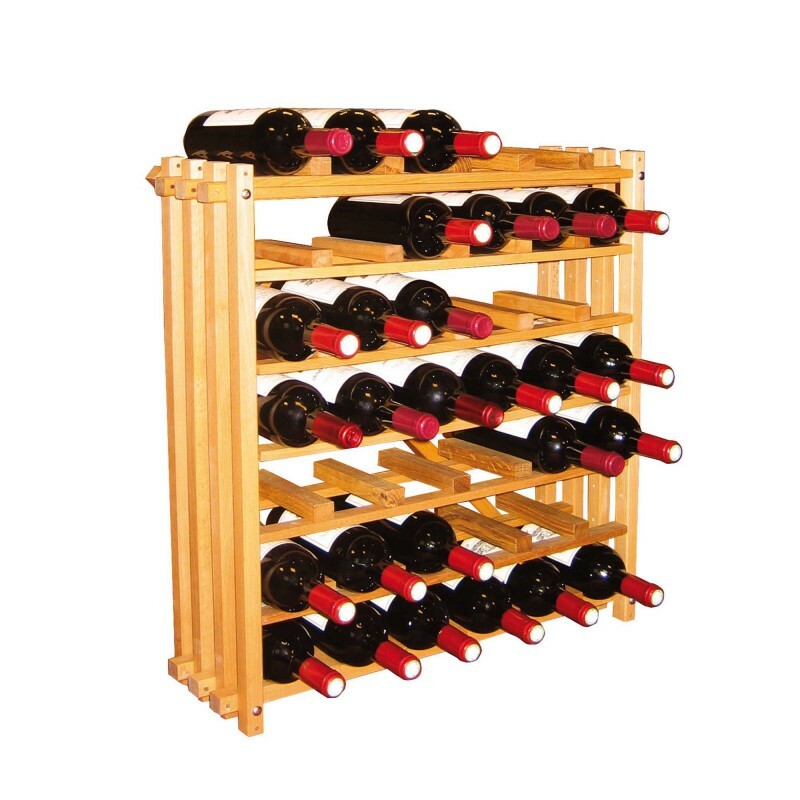 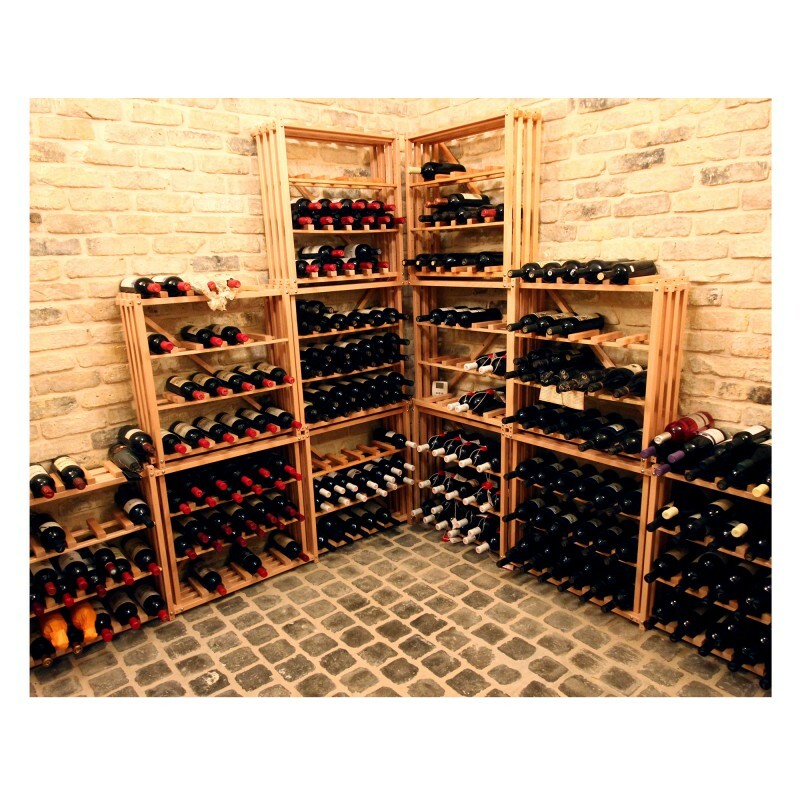 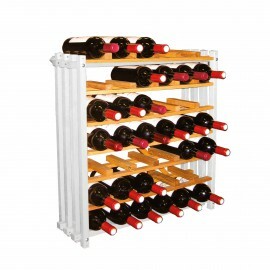 Modulocube is a solid beech folding rack, supplied ready to assemble, which allows very simple bottle storage.